Zapier is a workflow integration platform that allows apps to speak with one another. You create Zaps to enable this functionality. 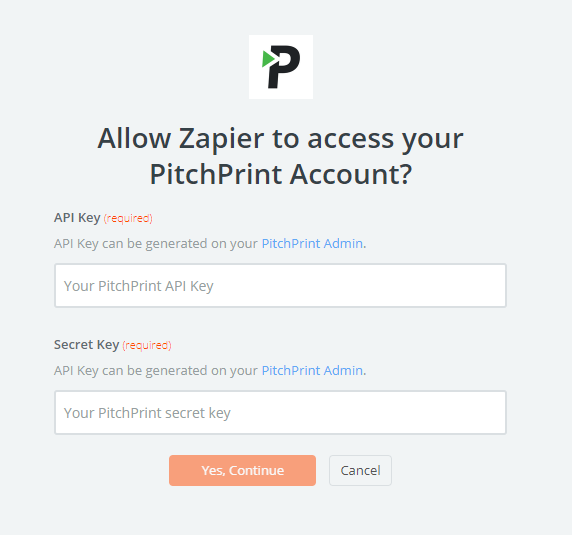 For instance, a PDF file created with an order on PitchPrint can be sent to a CloudConvert Zap for further processing or emailed to your printer right away using Zapier. Order Status Complete - This is triggered when the status of an order changes from your store, for instance, when a customer completes an order. 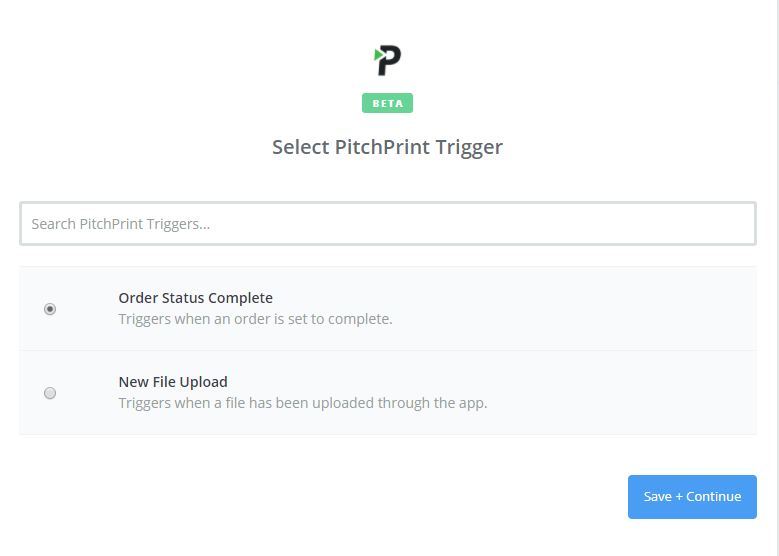 New File Upload - This action is triggered when your customer uploads a picture inside the PitchPrint app. You can utilize this to capture and store any uploaded photo into S3, Box, OneDrive, DropBox or even email it. orderId - Unique order ID from your store. In this example, we will create a Zap that will capture any order PDF file and save it from PitchPrint to OneDrive. 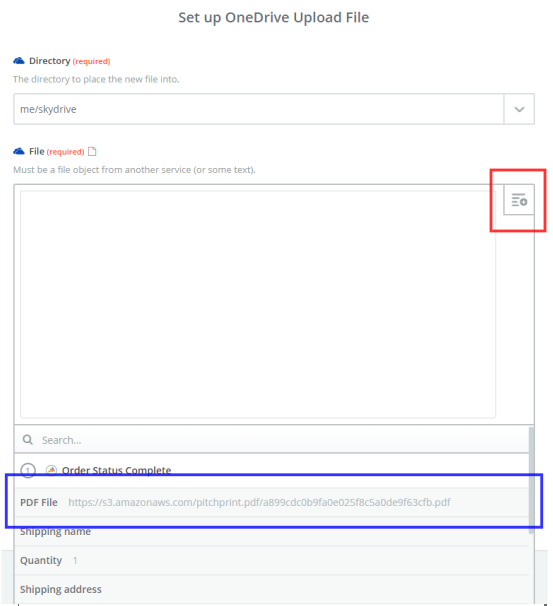 Next, you need to create or complete a test order in PitchPrint so that Zapier can grab a sample data to use. 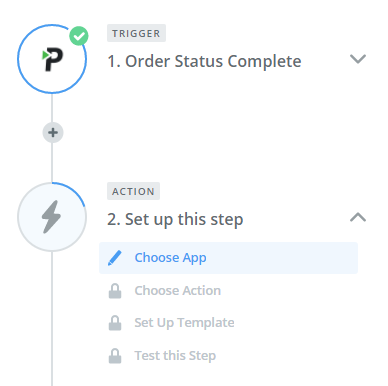 Once the trigger step is complete, you need to add an Action, which is any Zap that will consume the order data and use it to create an action, like save, email etc. Save & Continue takes you to authenticate your OneDrive account. 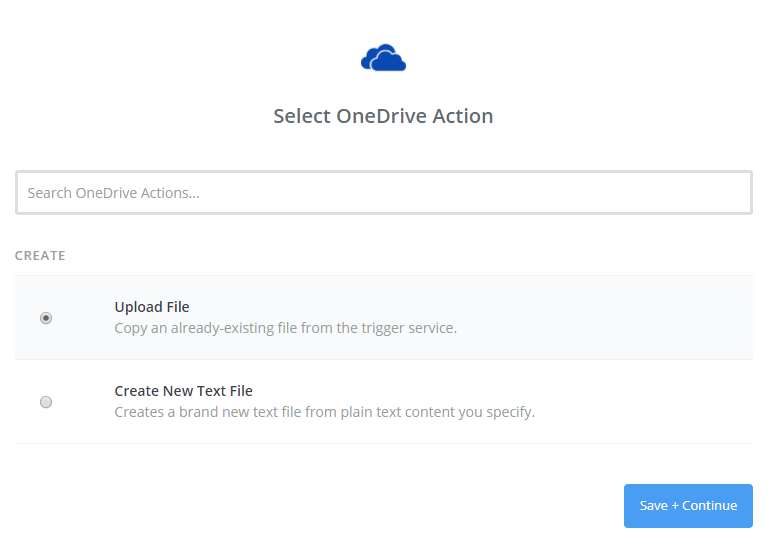 In the next step, select your OneDrive directory where you will like to save all the PDF Files into. Click the Search box and pick the PDF File. Continue and Test your new Zap. Check your OneDrive directory, you should see the new PDF File saved there. You can create as many Zaps as you like and try out the other trigger that saves every uploaded photo.